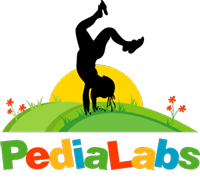 PediaLabs is a mobile laboratory service that started with a dream of helping children and other individuals who have a hard time getting blood work performed. We wanted to make sure that we could provide our patients with a memorable experience without the traumatic side effects. As a company, we desire to deliver smiles in every encounter as our patient‘s comfort and satisfaction are our top priority. We are a group of phlebotomists that are passionate about working with children and performing the art of phlebotomy. As a mobile phlebotomy service, we take pride in being able to deliver exceptional service within the comfort of your home. You no longer have to wait in line to get your blood drawn or risk being late for that event. We come to the location that you designate to draw your blood with you or your child free to enjoy the rest of the day. Our process is simple, you or your physician will contact us regarding an appointment. We request for your physician’s order and your insurance card to be emailed to us. On the day of the appointment, one of our phlebotomists will meet you at the specified time to collect your samples. We deliver those specimens to the lab and send a message confirming the delivery of your specimens to the lab. After the specimens are analyzed by the receiving lab, your results are sent to the physician for interpretation. The process requires very little effort from our patients while permitting more time to do the things you love.